Arnab Ghosh, Victor Mukherjee, Wolfgang Niedenzu, and Gershon Kurizki, ‘Are quantum thermodynamic machines better than classical?’ arXiv:1804.05659 (2018). Wolfgang Niedenzu, Victor Mukherjee, Arnab Ghosh, Abraham G. Kofman,Gershon Kurizki, ‘Quantum engine efficiency bound beyond the second law of thermodynamics’, Nat. Commun. 9, 165 (2018). Victor Mukherjee, Analia Zwick, Arnab Ghosh, Xi Chen and Gershon Kurizki,‘High precision low-temperature quantum thermometry via dynamical control’, arXiv:1711.09660 (2017). Victor Mukherjee, Wolfgang Niedenzu, Abraham G. Kofman, Gershon Kurizki,‘Speed and Efficiency Limits of Multilevel Incoherent Heat Engines’, Phys. Rev. E94, 062109 (2016). Victor Mukherjee, Simone Montangero, and Rosario Fazio, ‘Local shortcut to adiabaticity for quantum many- body systems’, Phys. Rev. A 93, 062108 (2016). Victor Mukherjee, Vittorio Giovannetti, Rosario Fazio, Susana F. Huelga,Tommaso Calarco, Simone Montangero, ‘Efficiency of quantum controlled non-Markovian thermalization’, New J. Phys. 17 (2015) 063031. Victor Mukherjee, Alberto Carlini, Andrea Mari, Tommaso Caneva, Simone Montangero, Tommaso Calarco, Rosario Fazio, and Vittorio Giovannetti,‘Speeding up and slowing down the relaxation of a qubit by optimal control’, Phys.Rev. A 88, 062326 (2013). Victor Mukherjee, Shraddha Sharma and Amit Dutta, ‘Loschmidt echo with anon equilibrium initial state: early time scaling and enhanced decoherence‘, Phys.Rev. B 86, 020301(R) (2012). Shraddha Sharma, Victor Mukherjee, and Amit Dutta, ‘Study of Loschmidt Echo for a qubit coupled to an XY-spin chain environment’, Eur. Phys. J. B 85, 143(2012). Victor Mukherjee, Amit Dutta and Diptiman Sen, ‘Quantum fidelity for onedimensional Dirac fermions and two-dimensional Kitaev model in the thermodynamic limit’, Phys. Rev. B 85, 024301 (2012). 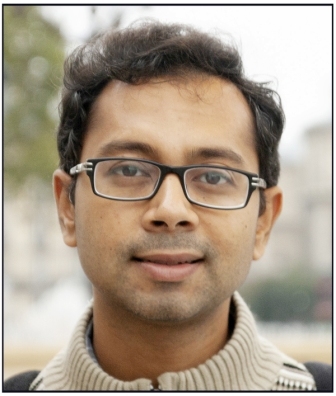 Ayoti Patra, Victor Mukherjee and Amit Dutta, ‘Path dependent scaling of geometric phase near a quantum multi-critical point’, J. Stat. Mech. (2011) P03026. Victor Mukherjee, Anatoli Polkovnikov and Amit Dutta, ‘Oscillating fidelity susceptibility near a quantum multicritical point’, Phys. Rev. B 83, 075118 (2011). Victor Mukherjee and Amit Dutta, ‘Adiabatic multicritical quantum quenches:Continuously varying exponents depending on the direction of quenching’, EPL 92 (2010) 37004. Victor Mukherjee and Amit Dutta, ‘Effects of interference in the dynamics of aspin- 1/2 transverse XY chain driven periodically through quantum critical points’,J. Stat. Mech. (2009) P05005. Uma Divakaran, Victor Mukherjee, Amit Dutta and Diptiman Sen, ‘Defect production due to quenching through a multicritical point’, J. Stat. Mech. (2009) P02007. Sudeep Bhattacharjee, Adish Vartak, and Victor Mukherjee, ‘Experimental study of space-charge-limited flows in a nanogap’, Appl. Phys. Lett. 92, 191503 (2008). Victor Mukherjee, Amit Dutta, and Diptiman Sen, ‘Defect generation in a spin- 1/ 2 transverse XY chain under repeated quenching of the transverse field’, Phys. Rev. B 77, 214427 (2008). Victor Mukherjee, Uma Divakaran, Amit Dutta and Diptiman Sen, ‘Quenching dynamics of a quantum XY spin-1 / 2 chain in a transverse field’, Phys. Rev. B 76, 174303 (2007). Arnab Ghosh, Wolfgang Niedenzu, Victor Mukherjee, Gershon Kurizki, ‘Thermodynamic principles and implementations of quantum machines’, arXiv:1803.10053 (2018) (As a chapter of: F. Binder, L. A. Correa, C. Gogolin, J. Anders, and G. Adesso (eds. ), "Thermodynamics in the quantum regime - Recent Progress and Outlook", (Springer International Publishing)). Ayoti Patra, Victor Mukherjee and Amit Dutta, ‘Non-equilibrium dynamics near a quantum multicritical point’, J. Phys. : Conf. Ser. 297 012008 (2011) (as conference proceedings for STATPHYS-Kolkata VII). Uma Divakaran, Victor Mukherjee, Amit Dutta and Diptiman Sen, ‘Defect production due to quenching through a multicritical point and along a gapless line’, Quantum Quenching, Annealing and Computation', Eds A. K. Chandra, A. Das and B. K. Chakrabarti, Lecture Notes in Physics, Vol. 802 (Springer-Verlag, Berlin Heidelberg 2010) (arXiv: 0908.4004). Victor Mukherjee, Uma Divakaran, Amit Dutta, and Diptiman Sen, ‘Quenching dynamics of a quantum XY spin-1/2 chain in the presence of transverse field by the application of a generalized Landau–Zener formula’, Pramana Journal of Physics, 71, 403 (2008). (In special issue on Proceedings of the International Workshop and Conference on Statistical Physics Approaches to Multidisciplinary Problems, IIT Guwahati, 2008).